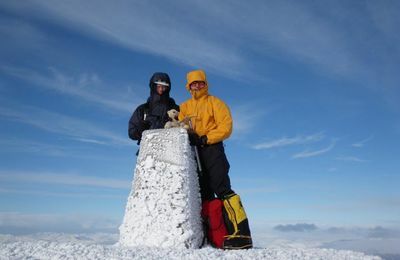 In winter, Ben Nevis can present opportunities for mountaineering and climbing of the highest quality. 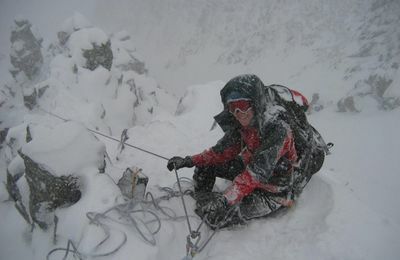 Ben Nevis ice is renowned throughout the world for its ability to provide superb placements for ice axes and crampons. 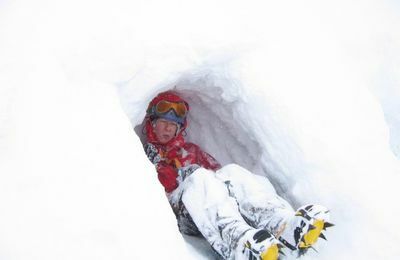 The reason for this high quality ice is the frequent 'freeze - thaw' activity which can take place throughout the winter. 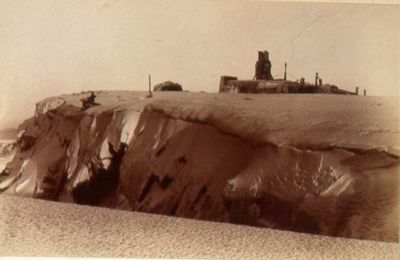 The temperature often hovers around zero degrees and the ice is continuously changing from gentle melting to hard freezing. 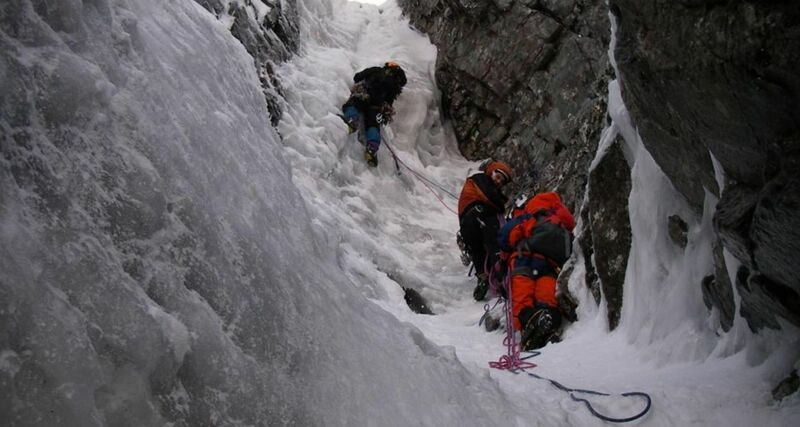 This produces a 'toffee-like' consistency which makes climbing ice an invigorating and satisfying experience. 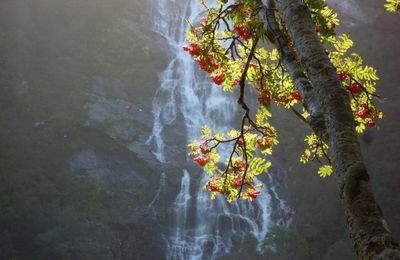 There are routes of all lengths and difficulties. 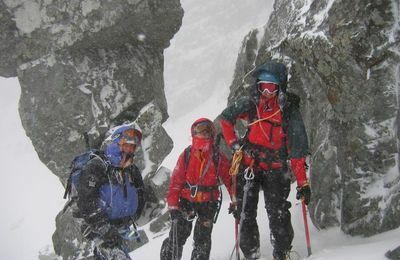 The classic ridges, which in summer can be relatively straightforward, provide winter excursions requiring all the skills of mountaineering - route finding, axe and crampon work, belaying in a variety of situations, moving together and finally navigating safely off the mountain. 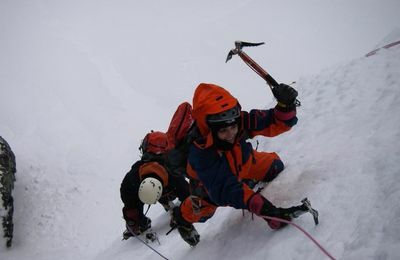 The first ice climbs were done during the end of the last century and activity has continued until the present day with new routes being climbed every year. 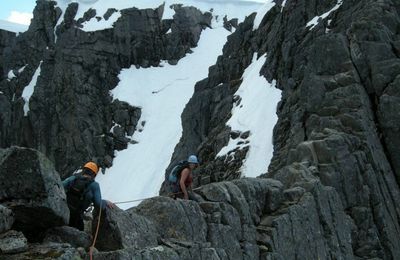 Many of the hard routes of the late 1950's and early 1960's have now become classics with frequent ascents each winter. 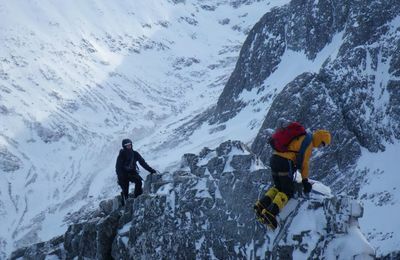 The three most popular classic ice climbs are Point Five Gully, Zero Gully and the Orion Face Direct. 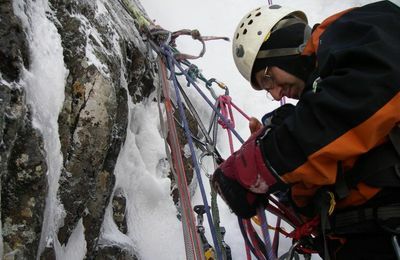 Modern equipment and technology have brought the ascent of these routes within the grasp of many modern climbers and on a good clear day with a hard frost and a plentiful supply of ice, the north face of 'The Ben' is covered with enthusiastic climbers completing routes and creating memories which will last for the rest of their lives. 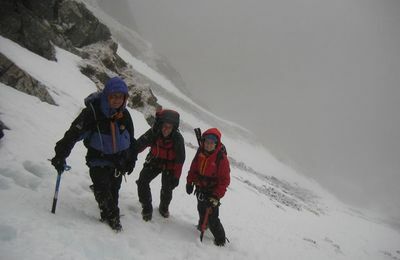 Ben Nevis in winter is no place for the unprepared - make sure you have the necessary experience or go with an experienced mountaineer or mountain guide. 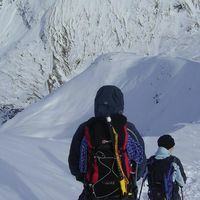 Use the search box below to find a mountain guide.